“…I Fall In is a collection of my prayers and devotions through my journey back to Christ. Through recovery, I realized that Jesus never left me; it was I who left Him…” Rock singer/songwriter Jason Fowler is set to release his debut Christian solo album I Fall In to stores this coming week (Jason has already recorded a ‘mainstream album’ if you want to call it that…), and with a testimony that Jason can confidently share with us, this is definitely an album you all have to check out and listen to. Produced by Grammy nominated and highly respected producer Billy Smiley, Jason’s heartfelt and personal ballads and rock melodies indeed tell his story and his spiritual journey, as each of the nine honest offerings highlight Jason’s Paul-like transformation from being homeless and drug addict to now being sober and a champion for Christ. Recruiting a slew of musicians and collaborators in the view of making his own music more authentic and real (such as Peter Furler, Jillian Edwards, Leigh Nash, Steve Brewster, Will Turpin, Blair Masters and Anthony Sallee; I Fall In is Christian rock and worship at its rawest, most emotional, and dare I say it, best, as Jason reminds us all that you can never be too far gone for God to rescue you from your struggles and pain. We can just wait on Him and bask in His presence, as He restores us and makes us whole, just like He did with Jason. Releasing a few weeks ago as the piano prominent 90’s themed pop ballad and lead single “You Give Me A Reason” features ex-Newsboys frontman Peter Furler guesting as backing vocals, as Jason passionately reminds us all that ‘…You give me a reason to say Your name, you give me a reason to sing Your praise, you give me a reason, you give me a reason today…’– a declaration that it is Jesus alone and only Jesus who can and does give us purpose and meaning. Without Jesus we have nothing, and as Jason alludes to that notion, the absence of Jesus explicitly mentioned here in my opinion makes the song layered a bit, as people from all walks of life can appreciate the song as well, as God moves throughout the fervent and impacting Holy Spirit anointed lyrics. Though the chorus is a little bit repetitive, it is refreshing to hear a straight out piano pop song with shades of rock, championing God, and that is exactly what this single is. Well done Jason for creating a catchy gem that is one of my favourite songs of the year so far! As the rest of the tracks reveal to us Jason’s deep love for a God who loves us immeasurably more; we are treated into an intimate journey of the inner most parts of Jason’s soul, as He ardently praises our Father and makes His name known. Opening the album is the Petra meets dc Talk meets Jars of Clay intense and explosive electric guitar led rocker “Come Alive”, which hits the ground running as we are introduced to the concept of being fully alive in Jesus’ presence, and letting the whole world know of Jesus’ great things He has done is our lives. As Jason eloquently cries out ‘…let your mighty wind come rushing in and open up my eyes, let your mighty wind come fill me again, let it wake me, and move me inside, that’s when we come alive…’, we are glimpsed into what we should all want our lives to be like- a living breathing testimony of the fact that it is when Jesus is in us that we are fully alive- well done Jason for a no-nonsense no-holds-bared inspiring album openers. Lone cover “Broken Vessels (Amazing Grace)” was originally recorded by Hillsong Worship, and in my opinion embodied what Hillsong Worship’s 2014 album No Other Name is all about, with Taya Smith leading the song that potentially could be “Oceans Part II”. With Jillian Edwards joining Jason on vocals, the emphatic and honesty reworked and altered famous hymn stays true to the original melody, as Jason sings about how Jesus moulds and shapes us like jars of clay, and also sings out the hymn of “Amazing Grace” in the chorus, reminding us all that God’s grace sets us free. Sure to resonate with and impact listeners, “Broken Vessels” segues into the upbeat, acoustic guitar led, bubbly pop melody and potential second single “Smile”, a happy-go-lucky melody where Jason reassures us that ‘…He can take all of your problems, put them all to good use, He can take all your broken heart and make us all shiny and new…’; another personal highlight, as Jason’s passion and enthusiasm is sure to put a smile to our faces. Jesus is the One who can and should bring smiles to our faces, and that positivity and optimism that Jason brings to the table in his inspiring album is sure to rub off onto listeners, even if we’re having a bad day. Bringing the tempo down a bit to an acoustic guitar led folk/country/pop melody, “Family” features Leigh Nash on guest vocals, and has Jason fervently signifying the importance of loved ones and family around us to ground us in every facet. With Jason and Leigh beautifully singing in harmony, we are presented with the fact that ‘…I, I was made for you, we were made to help each other through, this life, together you and me, you’re my family…’, and also the fact that as Christians we can rest in the knowledge of being a part of the family of God. While the contemplative and reflective worship anthem “Reign On Me”, led by stirring electric guitar and an epic orchestral type atmosphere, asks God to reign and dwell in us, and be sovereign in every aspect of our lives. One of the most personal and revealing songs on the album, Jason’s earnest heart for God is on display here, as he desperately cries out for more of God. The solemn and reflective acoustic guitar ballad “Everything” is musically and thematically simple, as Jason highlights the fact to us that Jesus provides everything to us that we could ever need, and that ‘…You are good, Your grace is overflowing, You are God, You’re great and ever knowing, You are God, Your love is overflowing, You’re patient and all knowing, You give us everything that we need…’; while the high octane electric guitar and drums led punk rock melody “We Rise” showcases Jason’s inner rock heart, as we relays to us the fact that as Christians, we ought to rise up to lift God’s name high and praise Him. Yet it is the album closer, the emphatic acoustic guitar driven worship anthem that is the title track, that tugs at my heart the most. As Jason ardently relays the fact that every moment spent with God is becoming more and more in relationship with Him, as ‘…I open my heart, I open my life to You, You laid down Your life, You sacrificed, my hope is You, I fall in…’, we are reminded that He is a good Father and perfect God, hence our need and longing to be with Him. 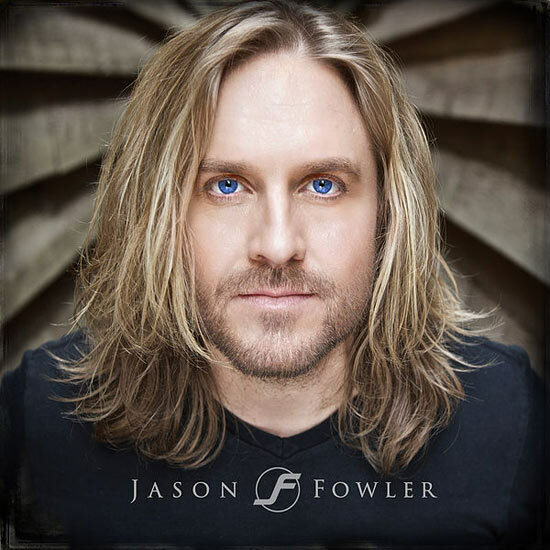 An honest and moving final melody on the album, complete with an epic electric guitar led rock crescendo; Jason Fowler has overall recorded a pretty impressive debut album, set to heal many and to impress quite a lot more! With Jason Fowler’s album I Fall In hopefully being released to acclaim, praise and recognition; it’s only natural for Jason’s schedule to fill up- Jason is quite a busy musician of late, in the fact that he is embarking on various summer festivals, as well as the New Release Today Acoustic Tour in September. But does many publicity shoots and touring translate into a good or great album? Check out the album and let me know what you all think. I myself reckon that Jason has recorded a fantastic album, but I will let you all be the judge. Well done Jason for a compelling album that has me hoping his next album will be up to the same standard as well!